With the ongoing trend of detoxes, cleanses, juicing, smoothies and marketing of so-called “healthy beverages” you might be wondering which are best. Here is some information to help you navigate the best choices when it comes to what you drink. 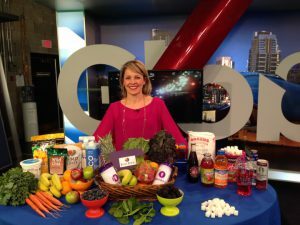 What is the difference between juicing, smoothies and other fruit beverages? Made fresh with fresh or frozen unsweetened fruit, veggies, unsweetened juice, yogurt, milk/non-dairy milk and other wholesome ingredients found in a healthy kitchen. Made from whole food ingredients such as fresh fruit and veggies. Fresh pressed juice contains no added sugars and offers a refreshing beverage with no added preservatives. Beverages with added sugar that are marketed as “healthy” because they have a few vitamins added are more like pop. Added sugar is also found in smoothies that come out of a slurpee-like machine, are made from powder or that use sorbet scooped out of containers like ice cream. Which is best, juicing or smoothies? While fresh pressed juices do offer some vitamins and minerals and contain no added sugar, a properly made smoothie still ranks as my top choice for nutrition. Since the entire whole fruit and/or veggies are consumed rather than simply the juice, smoothies offer more fibre and phytonutrients (health promoting components found in plant based foods). I also like that ingredients containing protein and calcium such as yogurt, milk/non-dairy milk as well nutritious items such as chia seeds or hemp hearts can be added to enhance nutrition. Since healthy smoothies contain fibre and also potentially protein, they are more filling and offer more satiety than fresh juices. If I am buying a smoothie what should I look for? Not all smoothies are created equal. In fact many ‘smoothie imposters’ are nothing more than an overpriced slushy drink or sugary drink that contains no actual real fruit. Healthy smoothies are custom-made fresh (they don’t come from slushy machines). You should see simple ingredients you can find in your kitchen such as real fresh or frozen fruit and veggies being added to a blender right before your eyes. Stay clear if they use sweetened juice and sorbet (sugary frozen stuff scooped from containers that looks like ice cream). Skip smoothies made from only powdery sugar mixtures with ice and water. These don’t provide the nutrition you get from unsweetened juice and fresh or frozen unsweetened fruit and veggies. The words “fruit punch, fruit drink, fruit cocktail, fruit beverage and fruit sorbet” imply sugar has been added. The advertisements “made with real fruit” or “blended with real fruit puree” are marketing terms that do not ensure your smoothie is 100% unsweetened. 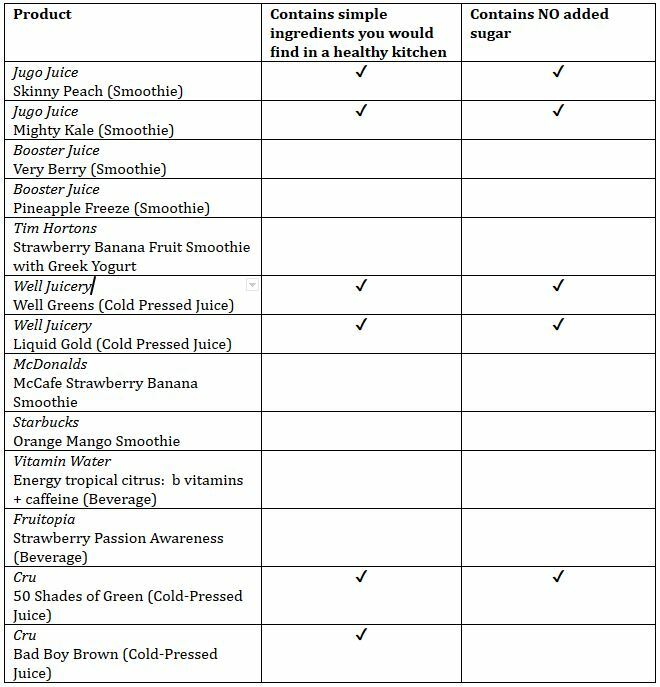 Ask for an ingredient list of what is in your smoothie and see for yourself. What are the best ingredients to add to a smoothie? Smoothies are one of the most nutritious ways to start your day, especially for those individuals that lack getting enough fruits and vegetables into their diet. Smoothies also make great post workout recovery beverages and after school snacks for kids and teens. Fresh or frozen unsweetened strawberries, blueberries, blackberries, raspberries, mango, pineapple, banana, peach and more! 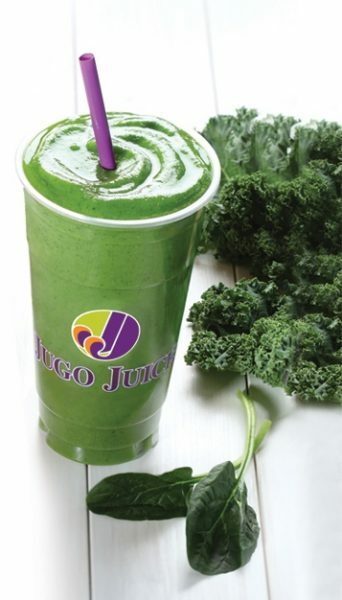 100% unsweetened juice, milk, almond milk, soy milk, rice milk, coconut water or fresh pressed vegetable juice. Fresh kale, spinach, swiss chard, avocado, cucumber as well as steamed veggies (such as cauliflower, carrots and beets) whirl away in any blender easily. Hemp hearts, chia seeds, ground flax, yogurt, cottage cheese, oatmeal, bran or protein powder are other great additions to enhance nutrition. Drink at home or place in a reusable coffee mug with a straw and take on the go.